Portfolio — Welcome to Project Guru Designs. This wonderful condo perched high in the Lafayette hills had breath taking views over the surrounding countryside but was looking tired and dated. 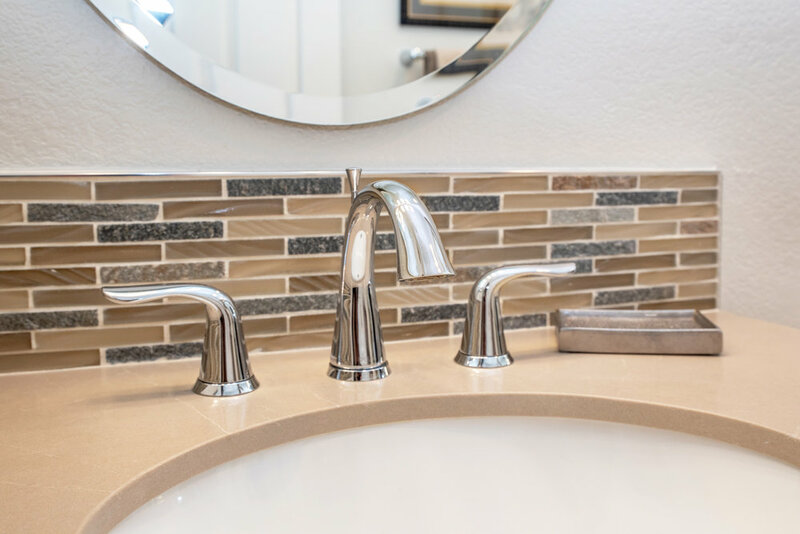 The client wanted to update the look without committing to the expense and upheaval of a full remodel, so we worked together to create maximum impact while working both within her budget and tight timeframe. Johanne worked closely with the contractor to see whether we had the potential to create a raised ceiling that could house new dimmable can lights. Once she knew that was possible, she created a new lighting layout that brought even, warm lighting to the whole space. 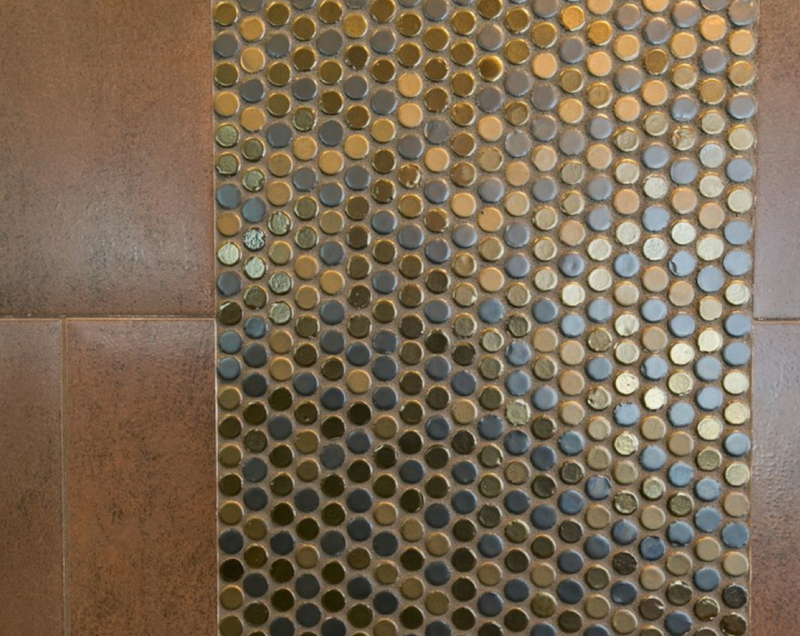 New Caesarstone countertops replaced the dated and impractical tile and drew the eye to the beautiful tones of the metallic mosaic tile backsplash. New power outlets, switches and wall plates completed the updates at the work surface level, and new paint provided the final touches. In the bathrooms, Johanne brought in lighted mirrors to bring both light and a contemporary elegance to the space. Pale Caesarstone counters and white undermount sinks and new faucets updated the existing vanity cabinets, and the replacement dimmable recessed lighting showcased the changes. An awkward angled wall and peninsula were removed and the ceiling vaulted in this large kitchen, resulting in an open expansive feeling of space, where the prior kitchen felt cramped and boxed in. 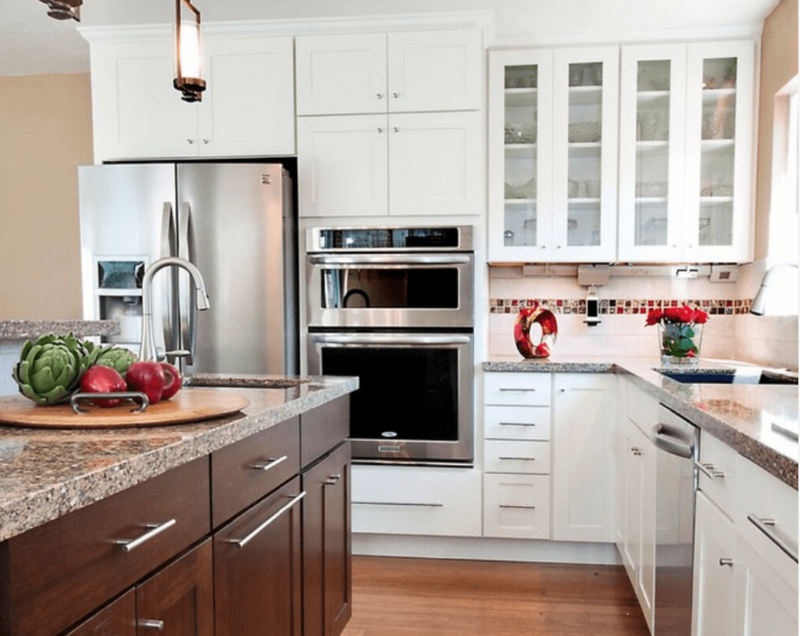 The cabinetry style, finishes and colors were aligned with the rest of the home. A custom lighting solution was devised for the 12' island, and skylights were added to maximize natural light. A neutral color palette blends textures for a timeless look. As part of the project, the adjacent laundry room and powder room were also refurbished. 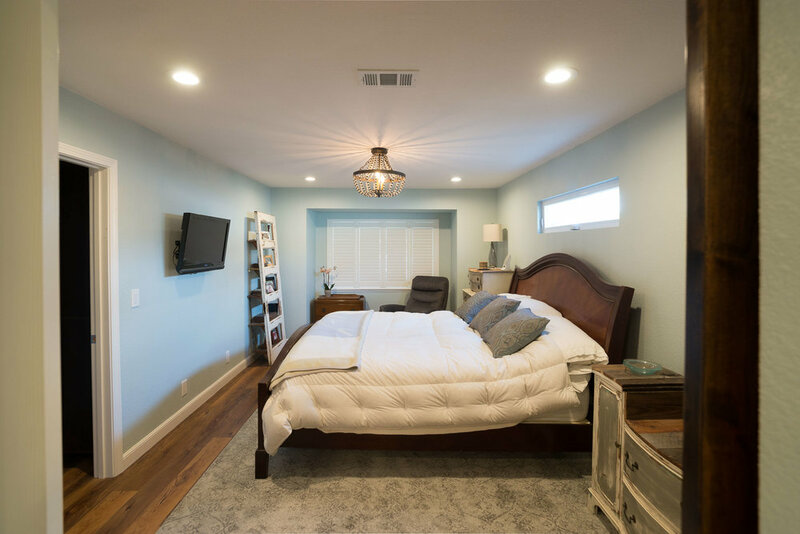 Project Guru was 2017 NARI Bay area remodeling awards winner for this project. See the transformation here https://www.youtube.com/watch?v=L7OrzOccr-E. The kitchen remodel was central to the project while the modern new staircase, entry door and home office barn door established a modern vibe. While the overall palette is in cool tones, vibrant jewel tones inject fresh energy. Others who worked on this project: All Things Interior, Bellmont Cabinet Co. Award-winning master suite features a barn door transition, built-in closet and cove lighting for vaulted ceiling and massive level-entry shower. Modern custom cabinetry features all-drawer vanity cabinet. 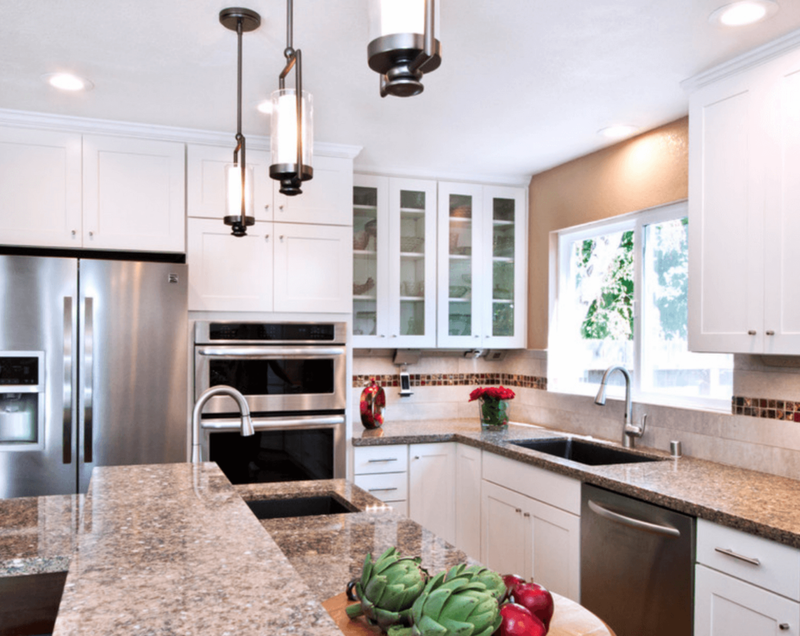 Large Alamo kitchen layout was modified to accommodate a large custom seating island with second sink, wine refrigerator and seating for six. Poorly configured Moraga kitchen gets complete remodel as the entire house gets new hardware distressed flooring and the facade gets a new front door, and the entire interior gets painted. Resilient materials and maximized closed storage should keep this young kid's bathroom fresh and organized for many years to come. the The existing footprint was kept from the original bathroom for this Jack and Jill kid's bathroom to keep within budget. Removing a divider wall and transforming a tiny L-shaped kitchen into a large U kitchen with island open to the den transformed the core of this home. White perimeter cabinets contrast with dark-stained Eucalyptus island in new U-shaped configuration. Island is 2-tiered, with room for 2 bar stools, bamboo floor continues into the dining and den space. Feature backsplash incorporates large porcelain subway tile and rustic ceramic mosaic: detail is continued through the kitchen and at the full height of the hood. The 3-drawer configuration under the cooktop allows for ample space for pots and pans, while a tall custom diagonal corner pantry with 4 rotating wood trays and top fixed shelves maximizes the newly acquired space. 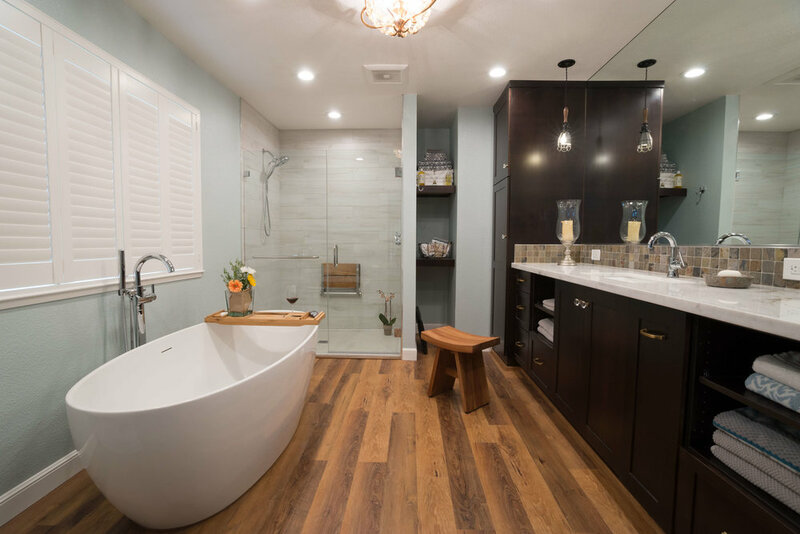 A dated bathroom with boxed-in tub and shower enclosure gets a classic re-interpretation of Craftsman style with extensive tile work, furniture-style cabinetry and matte quartz countertop. The custom vanity sports beaded inset construction with 7 functional drawers and under-cabinet lighting.. A curbless shower with heavy glass doors on heavy duty barn door hardware expands the visual space and brings a light, expansive feel to a formerly cramped layout.